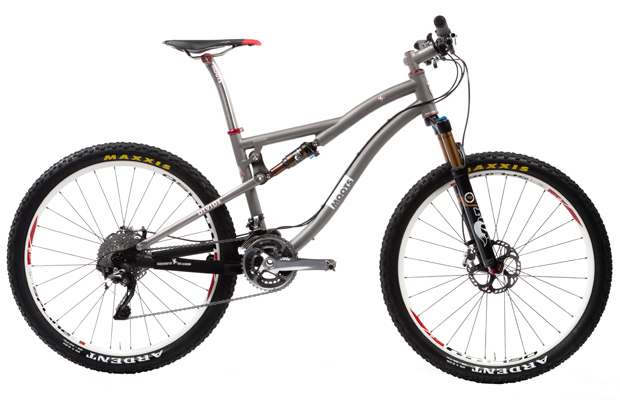 has been handcrafting high-performance titanium bicycle frames and components in Steamboat Springs, CO since 1981. 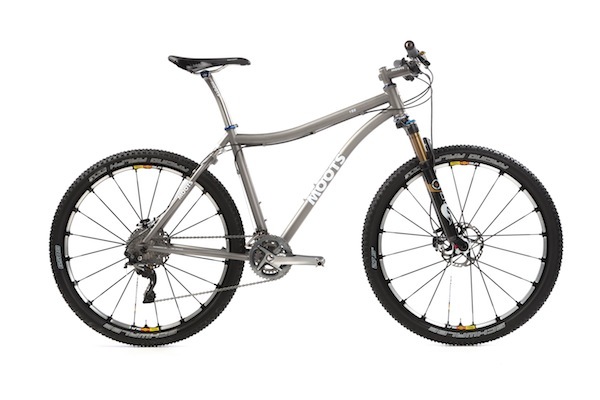 Their aim is to build each customer the best-fitting, finest-riding bike they will ever own. The quality of their craft is legendary. 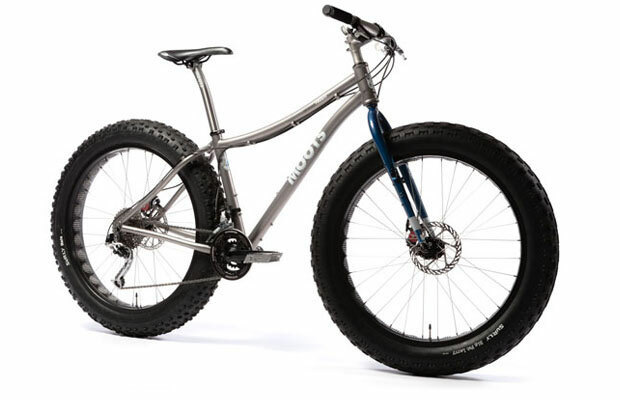 Moots builds a range of road, mountain, and cyclocross frames and also offers a fat bike frame. 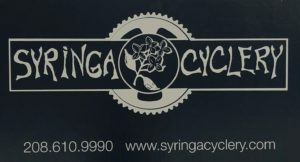 At Syringa Cyclery we can customize your selected Moots frame with components of your choice. The Vamoots RSL is built for pure speed while maintaining that sublime titanium feel, ideal for the rider that demands flawless performance on the road in a stiff, light and durable package. The PSYCHLO X RSLbrought home the award for the Best Cyclcocross Bike at the 2012 NAHBS in Sacramento, CA. 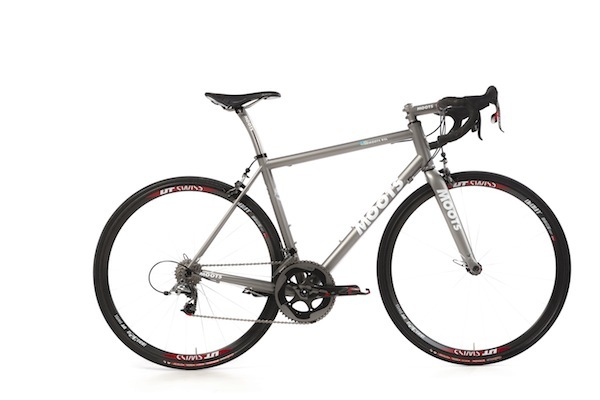 The Divide spares no expense in creating a well-balanced, lightweight full-suspension titanium cross-country race bike. 26-inch or 29-inch wheels. 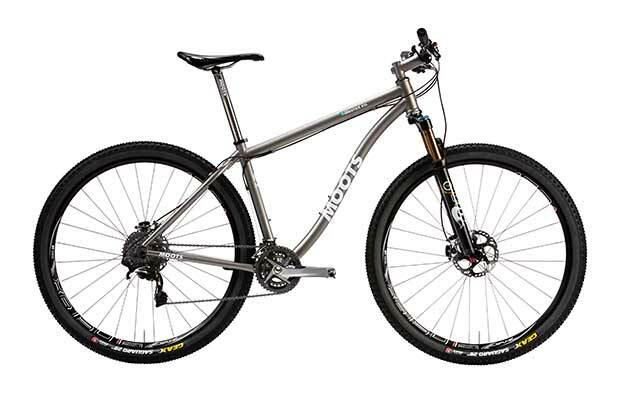 The Rogue is available as a hard tail or YBB frame as pictured (pivotless rear end suspension) for 27.5″ (650B) wheels. 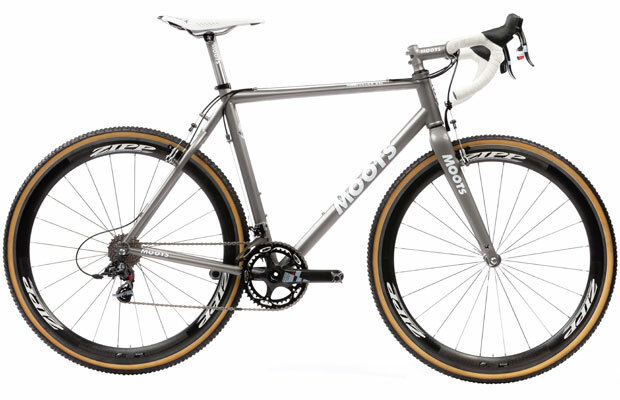 YBB is also available on other Moots MTB/Cross frames. Get on the Frosti and discover a whole new world of riding this Winter.